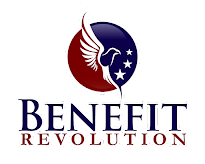 Average health savings account (HSA) balances increased from $1,408 to $1,933 (up about 37 percent) in 2014, according to a new report by the nonpartisan Employee Benefit Research Institute (EBRI). Account balances averaged $655 for owners under age 25 and $5,016 for owners ages 65 and older. 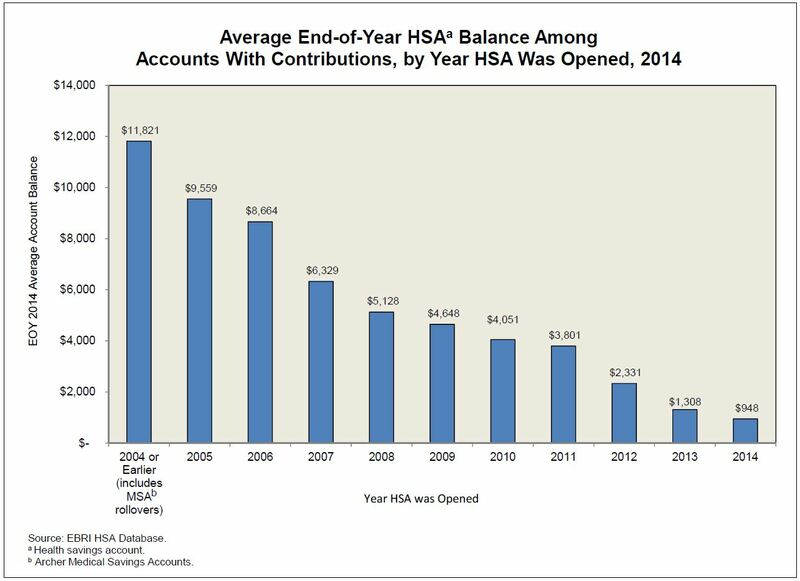 On a yearly average, individuals who made contributions deposited $2,096 to their account while HSAs receiving employer contributions received $1,021 a year, on average. 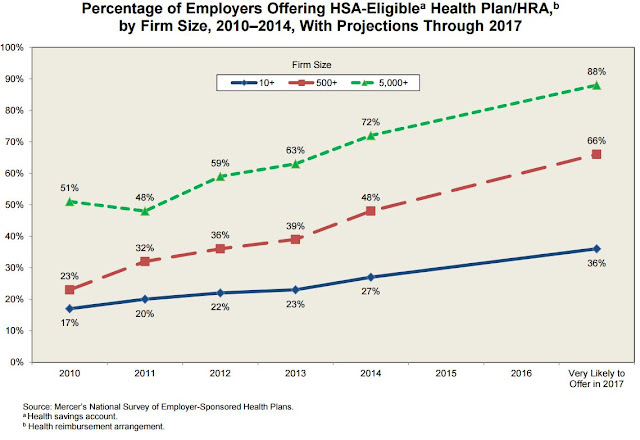 Among HSAs with claims, the average amount distributed for health care claims was $1,951. Enrollment in HSA eligible health plans is estimated to be about 17 million policyholders and their dependents in 2014. 4 in 5 HSAs have been opened since the beginning of 2011. Source: Employee Benefit Research Institute (EBRI).